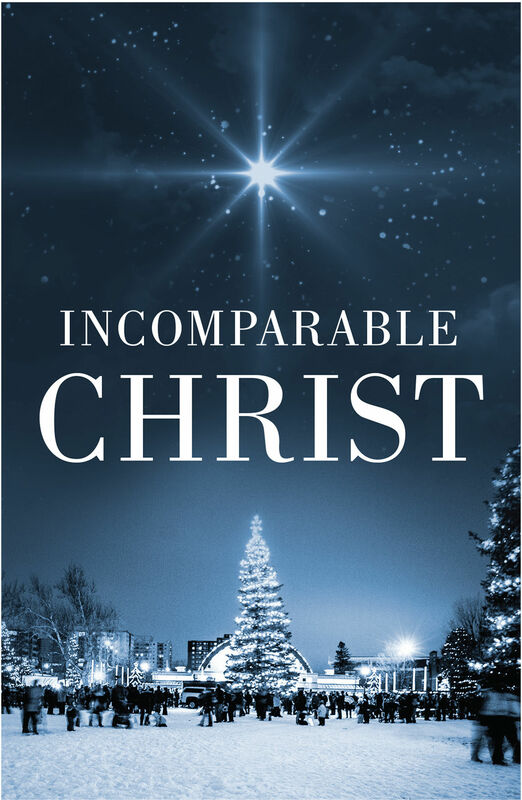 This Christmas wintry tract for adults examines a list of reasons why no one else who ever lived can compare with Jesus. He was not great by human standards but he is the Christ, the Son of the living God. Uses KJV Bible translation. Pack of 25. Incomparable Christ (Pack Of 25) by Good News was published by Crossway in October 2015 and is our 28894th best seller. The ISBN for Incomparable Christ (Pack Of 25) is 9781682161364. Be the first to review Incomparable Christ (Pack Of 25)! Got a question? No problem! Just click here to ask us about Incomparable Christ (Pack Of 25).